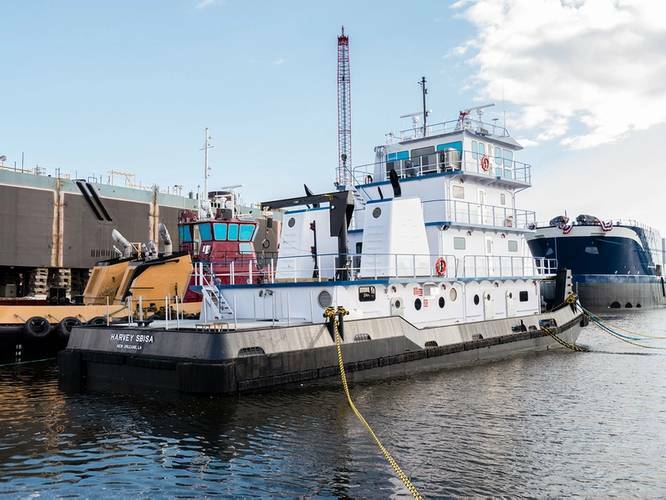 Eastern Shipbuilding Group, Inc. announced it has delivered the 62nd 90-foot inland towboat for Florida Marine Transporters, Inc. (FMT) of Mandeville, La., continuing its ongoing new build program. The new vessel, M/V Harvey Sbisa (Hull 192), was delivered on November 30, 2015. It was in the Spring of this year, when Florida Marine Transporters, Inc. signed an additional towboat, bringing the total to 65 vessels contracted over the last 10 years. 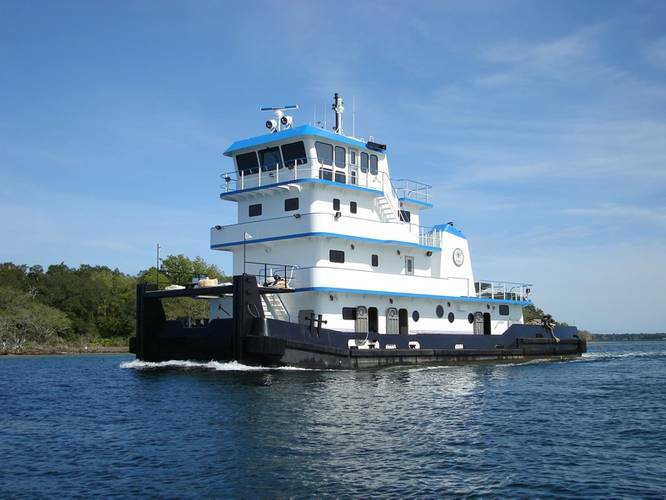 Five of the most recent 90-foot inland towboat deliveries to Florida Marine occurred over the past 12 months. The M/V Harvey Sbisa was constructed at Eastern’s Allanton Facility from a design furnished by Gilbert Associates, Inc. of Boston. This ongoing order for 90-foot towboats began with an initial 25 vessel contract, with deliveries starting in 2006. It has since expanded to become the largest single builder, single owner, new construction program with the same class towboat design in U.S. history. The vessels recently delivered and under contract with Florida Marine are installed with EPA Tier 3 main propulsion engines and generators. The vessel is powered by two Caterpillar 3512C Tier 3 diesel engines rated at 1,500 HP at 1,600 RPM provided by Louisiana Power Systems. The reduction gears are direct coupled Twin-Disc Model MG-5600 with a 6.04:1 reduction supplied by Stewart Supply, Inc. of Harvey, Louisiana. Electrical power is provided by two 99kW John Deere 4045AFM85 99KW Tier 3 generator sets rated for 60 Hz, at 208 VAC provided by Kennedy Engine Company of Biloxi, MS. These diesel engines comply with the current EPA Tier 3/MARPOL control of emissions of nitrogen oxides from marine diesel engines. • Caterpillar • Environmental Protection Agency • Florida Marine Transporters Inc.